CHC employs 26 full time and three part-time permanent staff. The core team is supported by a number of additional seasonal staff during the summer months. The Harbour Master/Chief Executive, Captain Stuart McIntosh, maintains overall responsibility for the organisation delegating the majority of the day-to-day operation to the appropriate manager. Jon Kidd is Deputy Harbour Master – Statutory, responsible for the day-to-day delivery of CHC’s statutory duties. Jon is the appointed Port Safety and Port Security Officer and acts as the principal marine Pilot. Jon is also responsible for the management of the Cowes Harbour Services Fuel Berth. Ed Walker is Deputy Harbour Master - Marine Services, responsible for the strategic development of CHC’s commercial marine services. 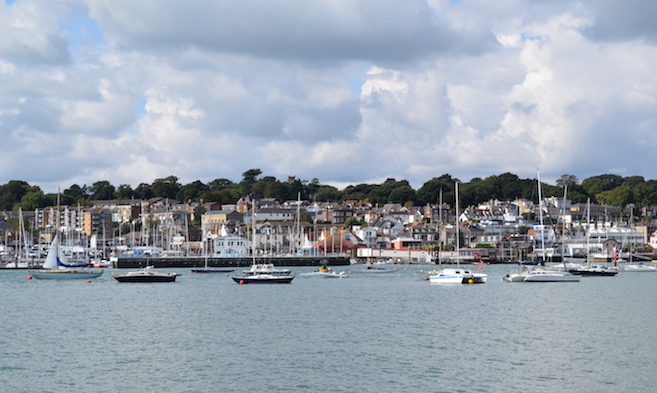 Ed also provides an additional authorised pilotage resource for the Cowes Pilotage Area. The Marine Services Manager, Jock Rafferty, is responsible for the day-to-day operational management of CHC’s commercial marine services. At Cowes Harbour Services in East Cowes, Jock is supported by two Team Leaders, five Port Operatives, plus an Administrator/Receptionist. At Cowes Harbour Shepards Marina in Cowes, Jock is supported by a Marina Team Leader, Berthing Masters, Harbour Patrol Officers, Port Operatives, and up to five seasonal staff, plus Administrators and Receptionists. Finance Officer Theresa Dunford is responsible for the accounting and financial management and also has line management responsibilities for the administration staff. The Communications and Marketing Officer, Louisa Mamakou, is responsible for stakeholder and media communications, as well as the marketing of CHC’s commercial marine services. The Estuaries Officer, Sue Hawley, works for the Isle of Wight Estuaries Project, a partnership between CHC, the Environment Agency, Isle of Wight Council, Natural England, and Yarmouth Harbour Commission.